What a fantastic event this was to be involved with. 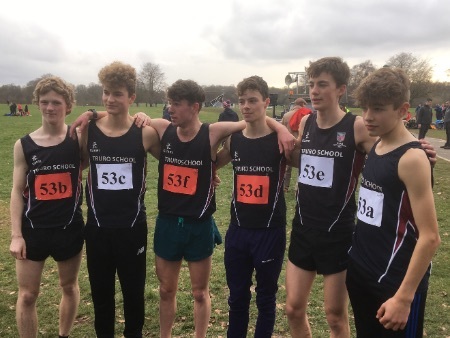 A great trip to Coventry saw Isaac, Alexander, Harris, Ben, Benjy and Finn compete against 60 other teams in a 2.3 mile relay. Most, if not all, of the top Cross Country schools were there so the competition was fierce. All the boys ran extremely well and we finished with a wonderful 5th place with Finn running the third fastest leg from all 360 runners. This is an event that I hope will become a regular feature of the Truro School Cross Country calendar.